Delta is joining with the White House and companies across America by committing to hiring at least 100 young people for their first job during the next year. It’s an effort called the First Job Compact announced by President Obama earlier this year, and it targets “opportunity youth” – millions of young people who are out of school but not working. Delta is a founding member of the compact. 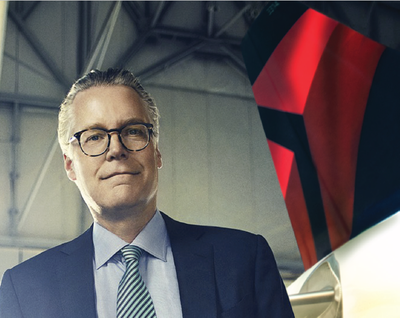 “We recognize that productive first jobs are important for a flourishing global economy, and Delta is committed to hiring at least 100 Opportunity Youth over the next year for a range of front-line positions that require no previous experience,” Delta said in a statement. Opportunity youth interested in working at Delta should apply for open positions online at delta.com and select #FirstJob when asked how they heard about the role. As part of the campaign CEO Ed Bastian took time to describe his own first job: working on an upstate New York road crew cleaning highways and flagging down traffic in construction areas. He said the experience taught him the importance of working hard, an honest wage and teamwork. The initiative includes a targeted social media push aimed at reaching opportunity youth themselves. Delta is participating on its own social media platforms, including Facebook and Twitter, using the hashtag #FirstJob. Identify jobs and internships that can be filled by workers ages 16 to 24 with little or no prior experience. Partner with nonprofits, school districts and others to recruit opportunity youth in regions where they operate. Develop a plan to support opportunity youth once hired so they can gain the skills and experience needed to move up in a career or educational pathway. For example, partner with nonprofits to identify mentors. Take steps to demonstrate how hiring opportunity youth adds business value. Delta continues to build on its partnerships with organizations like Atlanta’s New Hope Enterprises and Covenant House to provide opportunity youth with the training and skills they need to enter the workforce successfully. The company also works with organizations such as Hire LA’s Youth in Los Angeles to help candidates compete in the Delta hiring process.